» Ben - It just has to be Ben! We believe that the stunning landscapes of New Zealand make for nice holiday photos but it is the people of this country that make for life long memories. So, we decided that instead of promoting destinations or specific activities, we are going to promote the country's richest asset; its people. Our Locals and Landscapes guides offer a unique perspective, hava a contagious personality and are at one with their regions. Colwyn is a true local to the Bay of Islands. As a descendant from the area he has an in-depth knowledge that can never be learned from a book and has a passion for Maori culture and history which is prominent in Ipipiri (Bay of Islands). He was a local policeman (be good or he will lock you up in the little historic Russell jail) and is a civil marriage celebrant. 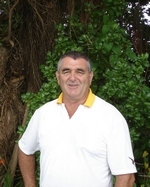 He has represented New Zealand in sports and truly enjoys sharing his two greatest passions with guests; Maori culture and fishing. He will quickly become a friend for life so leave him a space on the Christmas card list. helping New Zealand Encounters in our Conservation Efforts in New Zealand. Young, full of passion for her Maori heritage, gorgeous and bright. So much in just one person. Melissa is of Maori and Pakeha (European) heritage. Her iwi (tribe) is Nga Puhi and her hapu (sub tribes) are Ngati Kahu and Te Rarawa. Melissa's varied background includes working as a theatre producer, charity fundraiser, personnel consultant and educator. She grew up on a beach in the far north of New Zealand before moving to Auckland to study at the University of Auckland focusing on Maori art and traditional culture. Her knowledge and enthusiasm for Maori art is contagious. Consider yourself warned; you may become a Maori art enthusiast too by the end of this day trip. how your donation is helping New Zealand Encounters Conservation effort. Mike and Dee are true locals; having had a long association with the sea and the Hauraki Gulf in particular they are a great team together. 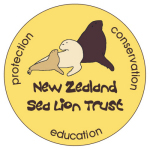 to see how your donation is helping New Zealand Encounters Conservation effort. Leave the bustle behind and explore the remote beauty of the Coromandel Peninsula with one of the region's greatest treasures, Damian. Born and raised on the Coromandel, he seems to mimic the region's landscapes. The tranquility and gentleness of the bush and the unpredictable nature of the ocean are mirrored in Damian's peaceful yet spontaneous personality. Hike to the giant Kauri Trees, learn the mystical uses of the native plants, lunch on a sandy white beach, soak at Hot Water Beach, meet the local artisans and fall in love with Damian's Coromandel. link to see how your donation is helping New Zealand Encounters Conservation effort. Click here to see how your donation will help. If we tried to list the yachting achievement's of Chad's life there would be no room on the page to describe your day with him. Chad has spent a lifetime cruising the Hauraki Gulf, racing classic yachts and exploring the north eastern coast of New Zealand. He is one of the founders of the Classic Yacht Association of New Zealand and is truly at one with the sea. With all of his experiences he can tell you the stories of the gulf and more especially take you to interesting destinations in corners of the gulf not often visited by the regular boating public. Lady Gay was built as a gentleman's luxury launch in 1935; she has recently come out of an extensive restoration and is now in magnificent condition, as you would expect a launch of that era to be. Her large enclosed cockpit enables a good all round view in the comfort only obtainable on a 46 foot, heavy displacement classic. She is one of New Zealand's priceless maritime antiquities and is protected by the 1975 Antiquities Act of New Zealand. $10.00 Per Person will be donated to the Supports of Tiritiri Matangi. Chad has also offered to match this donation. It just has to be Ben! 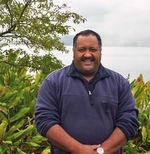 Ben has been a guide in the Rotorua region for 20 years now, this large handsome Maori man always wears a smile, has a great sense of humour and is an accomplished singer. 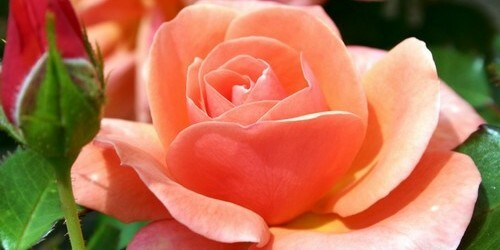 We are sure if you ask him to sing you a Maori song he will burst in to Song to the delight of all around. 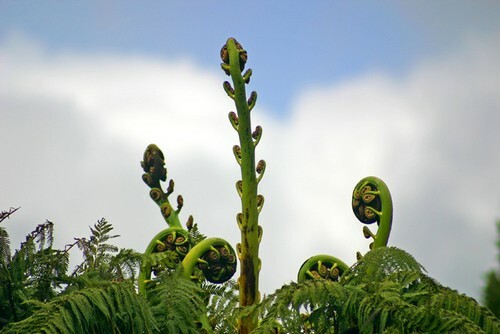 Learn about Maori traditions, visit a Maori Marae (meeting house), experience geothermal reserves and bubbling mud pools, hike through the spectacular Waimangu Volcanic Valley, discover the region around Rotorua and Taupo that is the ancestral land of Ben's Iwi (tribe), but most of all, simply experience Ben! A day with Ben is a day to remember for a lifetime. Well it took some searching but we found them; a fishing guide and wife team who offers a pure New Zealand experience. Simon is a patient fishing guide and offers those necessary helpful tips for the first time angler yet knows the perfect locations, gear and tricks for the advanced angler. Add to this a wife who is fun, cultured and an excellent cook and you have the perfect couple offering a genuine Kiwi experience. Choose either a day, or a day and a half of fishing while the non-angler enjoys the lakefront lodge and its facilities. True kiwi hospitality. One day long ago, it was suggested to Geoff that he write down the three things he enjoyed most in life, and then pursue it. Geoff wrote; New Zealand, Wine and People. 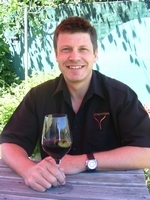 Today he is living his passion by sharing with others the wines of the Hawke's Bay. From working in vineyards cleaning wine vats, to being honoured as the Cellar Door Personality of the Year, Geoff is truly passionate about all aspects of the industry. Enjoy a day filled with all that is wine. Enjoy a private wine tasting, meet the wine makers, lunch amongst the vines and partake in an exclusive tasting from Geoff's private cellar. A truly delicious experience. Conservation Efforts in New Zealand. Pete and Takutai have an intense connection with the Marlborough Sounds that has been nurtured through a lifetime of family stories, both Maori and Pakeha (European) and by living each day on its shore. Takutai, whose name in Maori means one with an afinity for the sea, and Pete, together on their historic boat Tutanekai, will share the mystery, history and beauty of the region with you. Follow in Captain Cook's path, visit an island bird sanctuary, meet the characters who live (survive!) in this remote region and possibly catch a fish for dinner. An experience that steps back in time. $10.00 Per Person will be donated to The Guardians of the Sounds. Encounters in their Conservation Effort. Like a magpie to silver, fibre artist Peg’s eye is drawn to colour, and by chance, on a visit to Old St. Mary’s Guesthouse in Blenheim we came across her work that adorns the walls there. We met Peg and could not resist the temptation of asking her to join our exclusive Locals and Landscapes Guides. With no hesitation she agreed and today we are pleased to offer the chance for our clients to enjoy a day with this gracious and fun-loving lady. 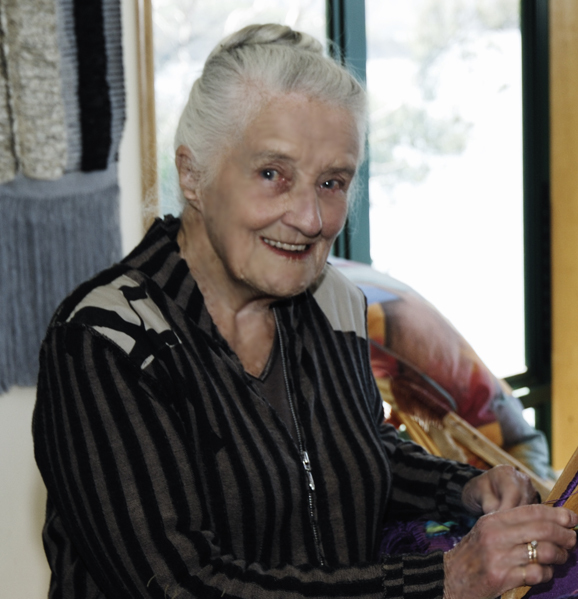 Being introduced to Peg for the first time is a joy, her zest for life and passion for the Damask Loom has her today, at the age of 90, working away daily in the design of new and interesting art. Peg will introduce you to Damask Weaving with a difference and show you the beautiful art that she creates. Peg has worked with “World of Wearable Arts” (WOW) and on their 10th anniversary was both an invited exhibitor and model. is helping New Zealand Encounters in their Conservation Effort. 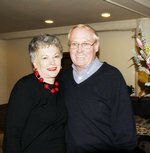 Tony and Maree have been operating their Christchurch bed and breakfast, art gallery and guiding business in Christchurch for many years. They are passionate about the unique history, gardens and culture of this city. They both grew up in Christchurch, were educated there, and enjoy sharing their detailed knowledge in a most entertaining manner. Maree has had experience as an art gallery director for over 25 years, and is regularly called upon by the art establishment for marketing advice, valuations, lectures to art groups, as well as historical and biographical consultation on New Zealand's foremost artists. Tony has drawn together the most popular features of all of his touring experience and has combined it with Maree's art knowledge so together they can offer the ultimate Christchurch region art, garden and sights day trip. of $10.00 Per Person will be donated to The Willowbank Wildlife Trust. The honour of sharing the Southern Alps with its vast valleys, rivers and ever changing moods? Well, you can hardly call it a job", Mark's response when asked to described his work. 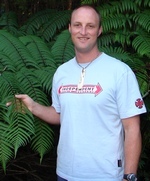 Mark was born and raised on a sheep, deer and crop farm in the Canterbury region outside Christchurch. He began experiencing the Southern Alps and Canterbury high country as a child on family 'Sunday drives'. These turned into more "manly" adventures as a teenager when he and his father went on hiking and four-wheel-drive trips, sometimes staying overnight in old Musterer's huts in the middle of nowhere. "But the stars kept you company at night". Matt moved to "The Coast" 30 years ago... just for a couple of years but the people, the way of life and the awesome environment took hold and he stayed. A keen explorer of the history of the Maori and European settlers to the area, he knows the stories of the places and people, the trails they walked and the historic sites of the those who came before. You'll be guided on walks that let you experience the amazing landscape while meeting some of the characters who battle a living from this challenging environment. A passionate advocate for the protection of the region's flora and fauna, he loves to share its unique qualities with visitors who have ventured to this remote and spectacular region. link to see how your donation is helping New Zealand. What can we say about Ron? He is the epitome of a genuine Kiwi guy. Casual, funny, knowledgeable and with a heart of gold. A day with Ron will allow you to see the wonder of Fiordland with a Local who will be proud to share with you his Landscapes. New Zealand Encounters in our Conservation Efforts in New Zealand. Where passion and knowledge collide; that's Brian. He is passionate about sharing and protecting New Zealand's wildlife and he is knowledgeable on a broad expanse of subjects. On an experience with Brian you get the rare opportunity to visit a private farm where there is a Yellow-Eyed penguin colony, see the New Zealand fur seals, sea lions and endless birds including the Royal albatross. Visit the remote and wild Catlins then visit Stewart Island. There you have the ultimate opportunity to see our native bird, the Kiwi in the wild. With Brian you just don't see wildlife, you will get to feel and understand them.